There is no doubt that music has changed dramatically from the days of Mozart and Chopin. Of course, this isn’t the only thing that has gone through a revolution. At the same time, the way people enjoy their music has evolved. Long gone are the days of visiting a musical chambers or hall to listen to your favorite artist. Now, music is portable and music lovers can enjoy their tunes wherever they may go! With the best quality bluetooth earphones, you’ll be able to experience astounding music, as if you were right in the studio! How does one go about finding the best earphones? This guide will be able to walk you through the entire process to ensure that you choose the right ones for your particular purpose and situation. When attempting to purchase a good pair of earphones, it is crucial to make sure that you know exactly what to look for. Unfortunately, many music enthusiasts will immediately look for the price tag and nothing else. This is a major mistake! Although budget is a factor, you shouldn’t allow it to consume your decision. Instead, there are other things that should be considered. These will be laid out below. Wired or Wireless? 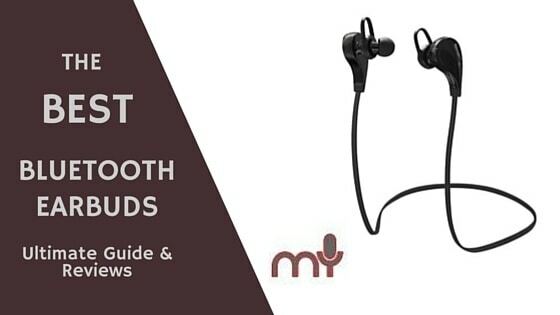 – First and foremost, you should determine whether or not you would benefit from a pair of wireless earphones. There is no doubt that wireless models come with a wide range of helpful conveniences. Of course, they can be a little more expensive. At the same time, choosing wireless means you’ll need to consider battery life and range, which can make the decision a tad more complicated. Battery Life – For wireless models, battery longevity is vital! The longer the battery can hold its charge, the better. Paying a little extra for a better battery is always a good idea! Recharge time is another factor that should be considered. Make sure that your battery will last for a long time, but will take very little time to charge! Range – Range is also very important for wireless headsets. Of course, this will depend on your particular usage. If you do not plan on straying far from your MP3 player or streaming device, range won’t be such a big deal. However, if you plan on strolling about your home, while listening to your music, range is crucial! Comfort – Since most consumers will want to enjoy their music for hours on end, choosing a pair of comfortable earphones is essential. By reading customer reviews, you should be able to determine the comfort level of a specific set. Make sure that they’ll provide you with comfort for many hours and will not easily fall out of your ears! Durability – Most people are fairly rough on their products, even if they do not mean to be. Drops and falls will happen! Therefore, it is vital to purchase a good set of headphones that will not break and become unusable with a single drop! Durability is key to longevity and paying more to get it is always a good idea. Noise Cancellation – Many newer models of headphones are equipped with noise cancellation technology. This type of feature can dramatically increase the quality of the sound. It’ll be able to block out the noise around you, while allowing you to zero in and focus only on your favorite music. This can be truly beneficial, although it will increase the price slightly. How You Will Use Them – Finally, it is essential to think about your particular usage. Some music lovers will want to sit around their home and enjoy their music. Others will be interested in listening to their music, while they jog or run on the treadmill. By knowing exactly how you will be using the headset, you will have a much easier time choosing the set that will suit your needs the best. Below, you will be able to find some of the best earphones to consider for yourself. Be sure to read the reviews thoroughly, since they’ll help you make the right decision! 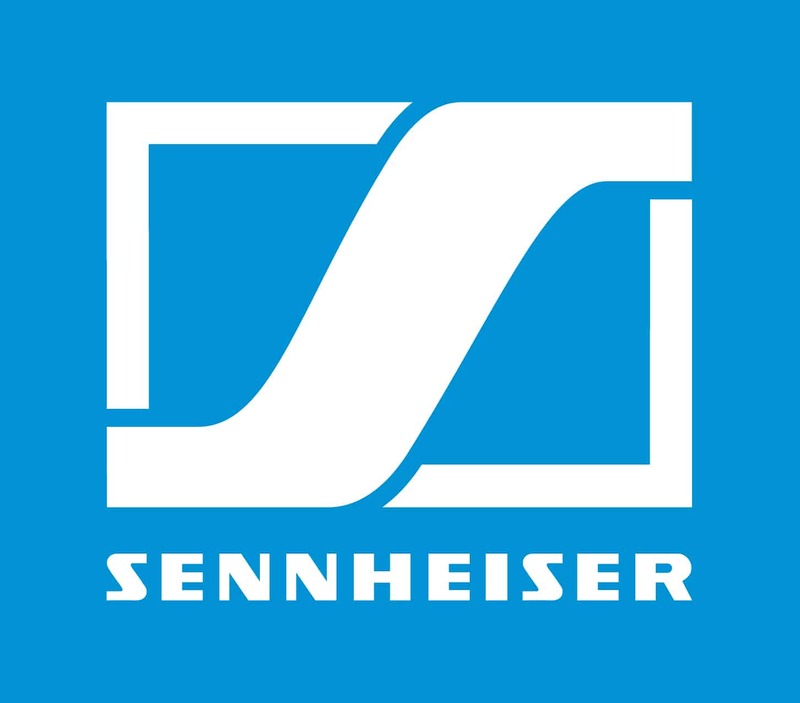 If you like to listen to music that has a lot of bass sounds, then you will surely appreciate the Sennheiser CX 300 II. The transducers are high-quality and will offer a pristine and well-balanced bass. This is wonderful for those that jam to jazz, blues, or rock. These good quality earphones are a little on the heavy side compared to other brands, since they weigh in at 3.5 ounces. This may not be suitable for runners, but will work well for those that are looking for a superior sound quality, without all the bouncing around. The CX 300 II ear bud is designed to create a perfect seal around the ear canal, so that less external noises can be heard. The 1.2 m wire is very durable and will withstand a lot of wear and tear, so you will not have to be as gentle with them, as other brands. The under $50 price tag is wonderful, if you are on a fixed budget, plus it comes with three different silicone ear tips including small, medium, and large, so you will find a very comfortable fit. A carrying tote is also included in the purchase price. 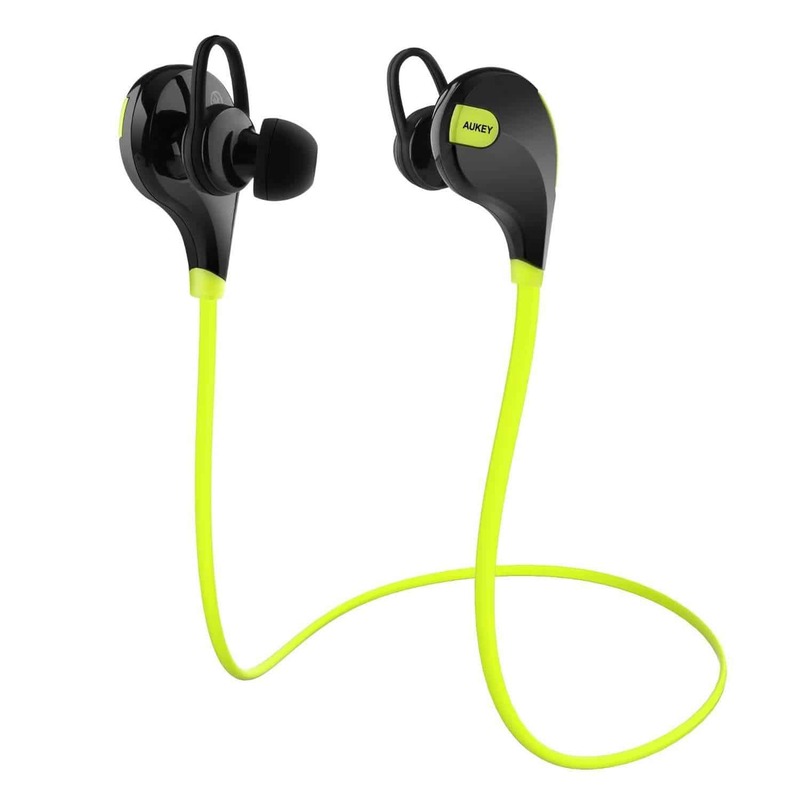 Running while listening to music can definitely make the task a lot more doable and pleasant and that is why you need ear buds that are suitable for athletes. The Soundpeats Qy7 is definitely what you need, when you are completing your daily run and below you will discover why. The SignalPlus feature will allow you to place your source device anywhere on your body and you will not receive any interference of skipped beats. This is great for those that like to wear their mobile device below their waist. You will never have to second guess how much battery life you have left, because these ear buds are equipped with an onscreen meter that is very visible. You will not have to be concerned about recharging for up to 5 hours of talk and music playing time. This is suitable for most athletes, so they can enjoy their run throughout, without having to take a pit stop. The 1.76 ounce weight is a great feature, as well, because they will not pull on your ears, while you are wearing them. The 4.1 Bluetooth components are compatible for all iOS and Android devices. 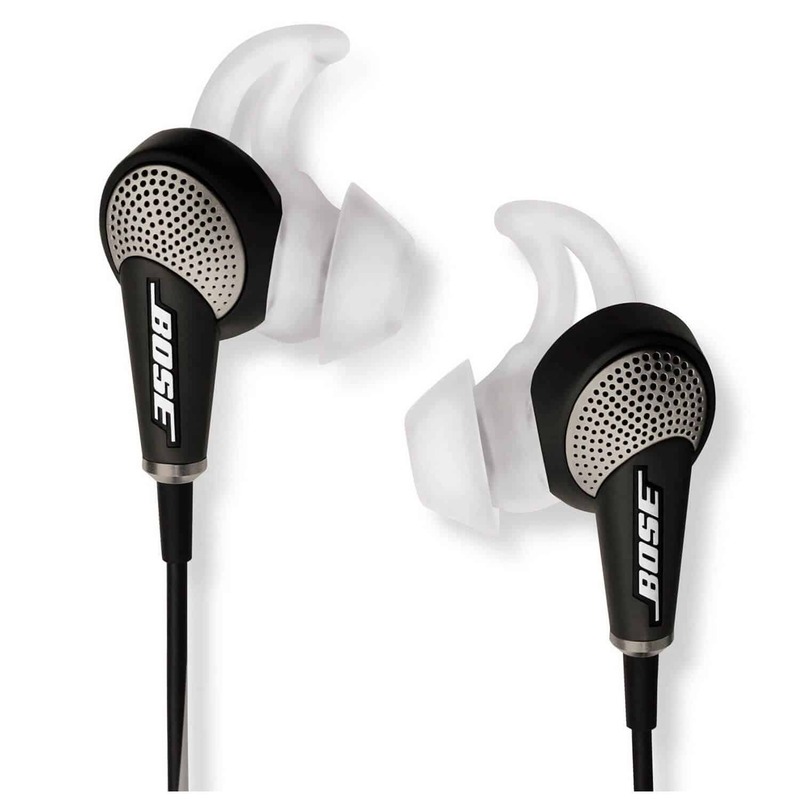 ​If you are looking for an aesthetically appealing ear bud, you will definitely want to keep the Bose QuietComfort 20i on your list of prospects. Bose has always been known in the music world, as a high-quality listening device manufacturer. The QC20 ear bud design is definitely unique, but what makes them so extraordinary is the fact that they are capable of blocking out external noises. The “aware mode” will allow you to hear external noises, without interfering with your tunes. This is a wonderful feature, because it can provide you with a much better safety option, when you are a large crowd. Just easily push the “aware mode” button and you will instantly hear others nearby. You will have 3 different sized ear tips, so you can easily modify your needs. The unique, mushroom-shaped ear tip will definitely mold and seal perfectly to the inside of your ear, so you will not need to worry about them falling out. This will keep them safely and comfortably in your ear, so that you will not lose them. Easily skip tracks and adjust the volume right from the cable, without having to touch your source device. This will surely make them very convenient to use, while you are working or exercising. No one can say that the Shure SE215-K is not uniquely designed, because they genuinely are and you can easily detach the cable for simple replacement. This is definitely a great feature, because if the cable becomes damaged, you will not have to purchase a new headset, just a new cable. The single MicroDriver will offer you a very well-balanced and superior bass sound. The internal and external components are extremely high-quality, which is what explains the extra weight. 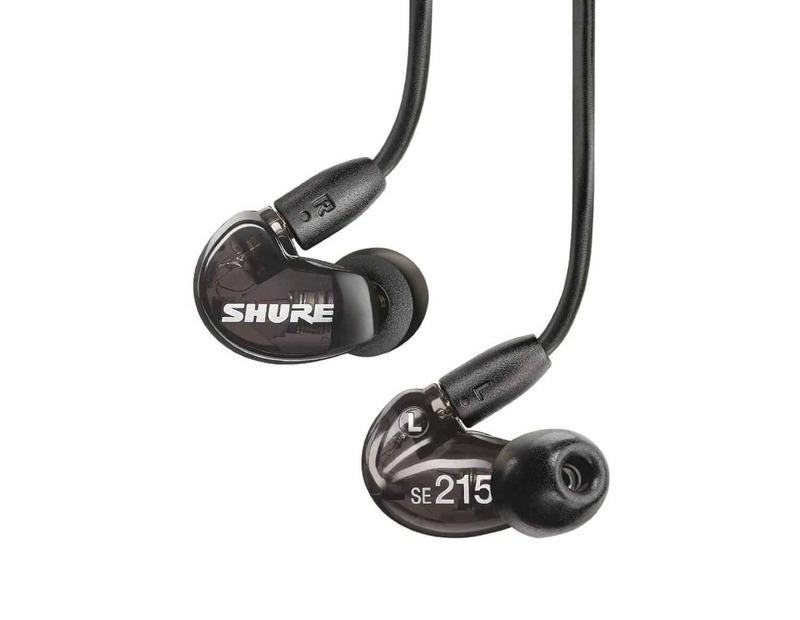 Three ounces is a little on the heavy side for ear buds, but if you are looking for a first-rate listening device, then you will receive that with the SE215. The 37 dB sound isolation is fairly general, when compared to other brands. The 64” inch cable is great for those that want some flexibility, while they have the ear buds attached to their source device. These ear buds are slightly large in size, which can cause some discomfort, if you wear them more than a few hours. The plastic casing is quite large and tends to get in the way, when putting them inside of the ear, as well. If you have large ears, this may not present a problem for you. Q: What's the -k-e mean? Some particular uses require a pair of earphones that can withstand a little bit of water! Whether working out and getting sweaty, or just wanting to use your earbuds while you bathe, you’ll want to look at the Swimbuds! These headphones are capable of providing you with comfort and peace of mind. Although these headphones aren’t equipped with wireless technology, they do feature a small cord, which offers flexibility and convenience. The cord is approximately 40 cm in length. 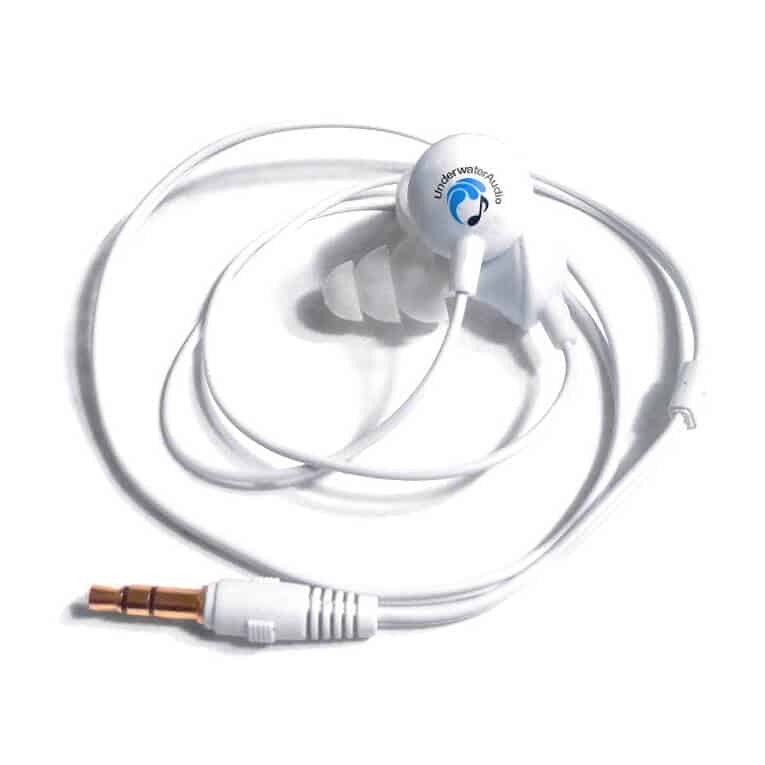 If you’re worried about your headphones getting soaked, you don’t have to be with the Swimbuds. Not only are they waterproof, but also they’re equipped with a full 1-year warranty. This can help give you a little peace of mind, when purchasing this set, which is a little more expensive than others. Swimbuds has gone out of its way to ensure that their product provides longevity. Of course, they also believe in protecting the environment as well. They do this, by reducing their carbon footprint of their product. Excessive cardboard is removed to better protect Mother Nature. Do not forget that these earphones include several different buds. Each is specifically designed for a particular activity, such as watersports, swimming laps, or running. This helps to ensure that the Swimbuds are suitable for your particular usage! Some music lovers want to be able to enjoy their tunes, while they’re shooting hoops or tossing around a football. There is no doubt that the right music can pump you up and improve your performance. 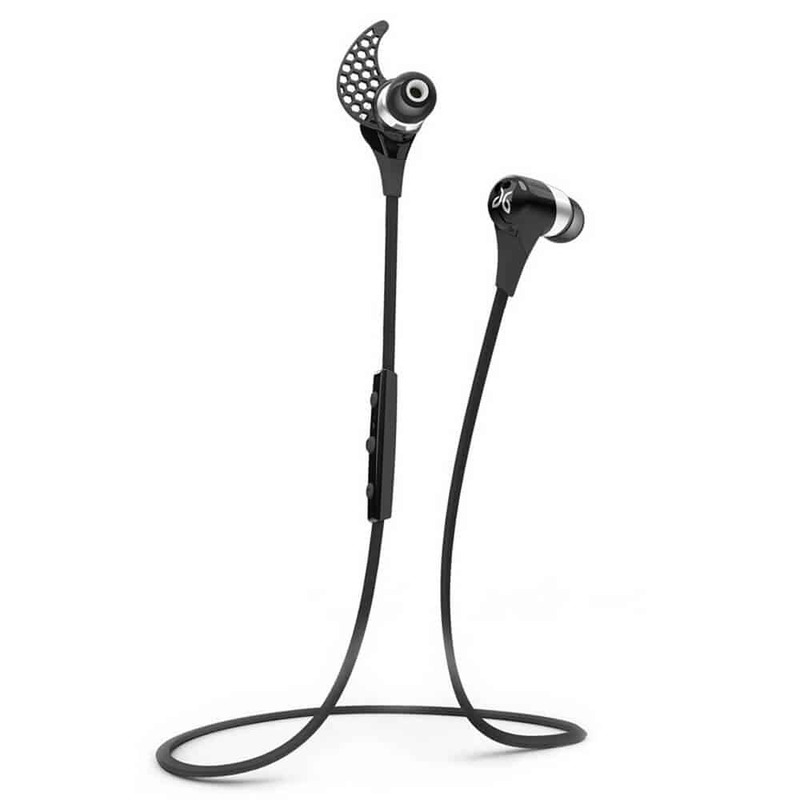 With this in mind, it is essential to check out the JayBird BlueBuds, which are the very best earphones for anyone, who loves sports! They’re available in three individual color schemes, which offers a little customization. It is vital to remember that these headphones are actually wireless and utilize Bluetooth technology. They’re equipped with a sufficient battery, which can provide you with approximately 8 hours of music time. This should be sufficient for most individuals! In fact, most will be able to use the headphones for several days, before they’ll need to recharge. The headphones aren’t only for music though! They’re also designed for phone calls. These in-ear headphones feature a control panel on their cord. This makes it very easy to adjust the volume or switch between songs at your convenience. Anyone, who is worried about longevity, can rest assured with these headphones, since they’re capable of resisting sweat! They also come with a lifetime warranty! 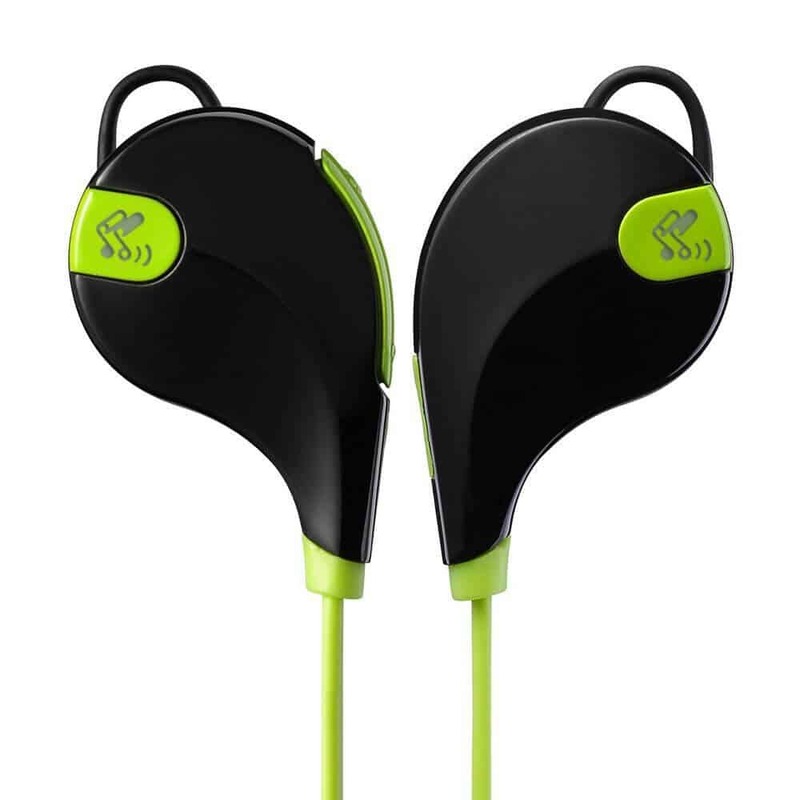 Overall, the sound quality is excellent and the earphones will not fall out of your ear easily! Everyone has their preferences, when it comes to ear buds, but durability and comfort is the most important. The Klipsch S5i is constructed out of weather resistant and high-quality materials, so they will endure a lot of abuse. The thick, rubber remote and cable is large enough that you will not have to go searching for it, when you are ready to adjust the volume or skip a track. The 0.5 ounce weight will definitely offer a lot of comfort, because they will not pull on your ears, when you are wearing them during your workout. The rugged constructed makes these the perfect ear buds for mountain climbers and skiers, as well. The sound quality and bass sounds are fairly general, when compared to other brands. 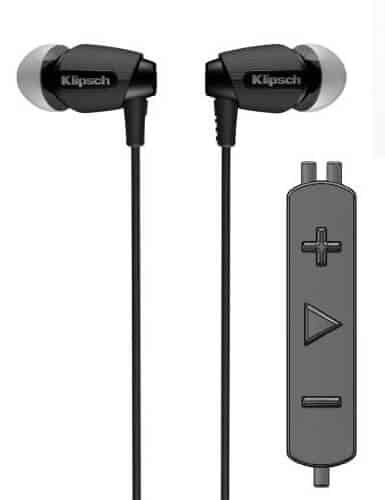 You could consider the slightly higher ticket Klipsch S4i, featured in our Best Earphones for drummers guide, although not wireless, they offer great noise isolation. 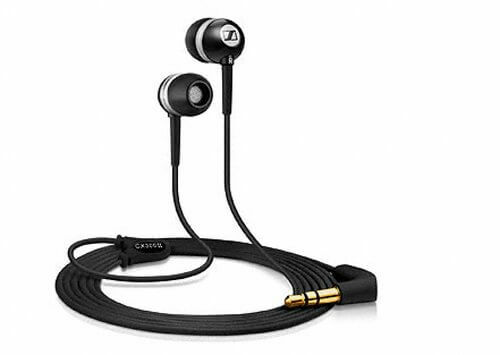 Many people want to be able to purchase a good set of earphones that will not break the bank! 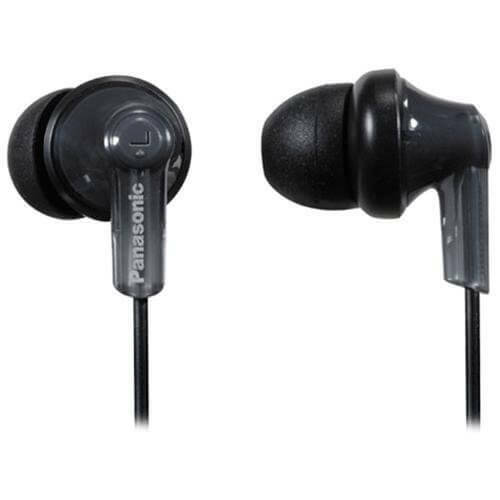 This information rings true about the Panasonic RPHJE120k, which are more than affordable! Of course, these earphones symbolize the truth that cheap doesn’t mean poor quality. First and foremost, this model offer a wide range of customization. They’re available in a large number of different colors, including blue, black, silver and violet. This ensures that you’ll be able to match the color of your MP3 player or iPod perfectly. Remember that these headphones aren’t wireless and do require a corded connection. Still, they’re equipped with the standard 3.5 mm jack, which should be able to fit the majority of devices out there. Whether you’re trying to choose a pair of earphones to use at home, or want to be able to go running, these earphones will most certainly get the job done! They’re affordable, but reliable and durable. It is essential to look at the headset’s lacking features though! They’re not wireless and do not come with a microphone, which will limit their usage. Still, they’re possibly one of the cheapest and best earphones for small ears. They might be cheap and basic, but they do an astounding job for their intended purpose! At the end of the day, choosing the right earphones is anything, but easy. However, it is vital to take the time to understand your particular needs and preferences, before plowing ahead. By doing so, you will be able to ensure that you choose the best bluetooth earphones that will suit your particular usage to perfection.